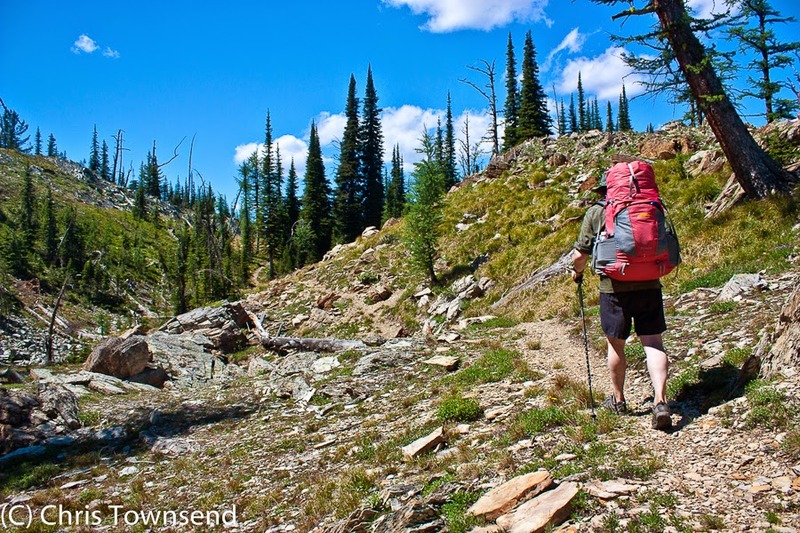 The Spring issue of The Great Outdoors is out now and it's all about backpacking. It's a big thick issue too - 180 pages. I've contributed pieces on my Scottish Watershed walk, lightweight gear, cookware, my recent Cairngorms Linking the Lairigs backpack, and stoves and fuel for backpacking. I also answered some questions on backpacking along with Keith Foskett, Lorraine McCall (currently linking all the Corbetts in one walk -she also describes the gear she's using), Andrew Skurka, Leon McCarron and Colin Ibbotson. Also on the backpacking theme there's a look at ten top British backpacking routes and ten top worldwide backpacking routes; Ed Curwen walks Wainwright's Coast-to-Coast; Mark Waring hikes 1000 miles through the Swedish mountains; John Manning does the Kerry Way in Ireland; Emily Rodway talks to Roger Foreman about his marathon backpack along all of Britain's national trails in a year and Markus Petter about his circular Wester Ross Trail; advice on backpacking gear care; John Manning bravely spends three weeks living on specialist backpacking meals; and David Lintern goes backpacking on the island of Rum. Away from backpacking Alan Rowan, author of the new book Moonwalker, picks six Scottish mountains for moonlit ascents; Ian Battersby tries bikepacking; Carey Davies looks at limestone and the landscape it creates; Roger Smith considers environmental stories including the latest climate change report and Jim Perrin recommends the anthology The Mountains of Wales and reviews Jim Crumley's new book The Eagle's Way, which is on my to-read list. In Hill Skills there's advice on ticks and Tristan Gooley describing how to use trees as a compass. In the gear pages I review a Skogstad fleece; Daniel Neilson and James Reader review the Vivobarefoot Trail Freak shoes; Daniel also tests ten hiking shirts; Judy Armstrong tries six women's trekking sandals; and James Reader visits Rab to see how sleeping bags are made.